Hi, my name is Russell Brunson, and I want to welcome you to the Book of Mormon challenge. Recently I spent a small fortune and purchased one of the original 5000 copies of the book of mormon that Joseph Smith originally printed.. I did it because I had been treating this sacred book lightly... and I wanted to make it special again to me and my family... As Ezra Taft Benson said... there is a power in the book which will begin to flow into your lives the moment you begin a serious study it. You will find greater power to resist temptation. You will find the power to avoid deception. You will find the power to stay on the strait and narrow path. When you begin to hunger and thirst after these words, you will find life in greater and greater abundance. Joseph Smith said that The book of mormon is the most correct book on the earth, and that a man would get nearer to God by abiding by it's precepts than by any other book... Join me it remembering this new covenant that we call the book of mormon. This podcast is my journey to let this book change my life... again. Keywords: Book Of Mormon Mormon LDS Latter Day Saints Joseph Smith Church of Jesus Christ Of Latter Day Saints Christianity Jesus Christ. Hey everyone, this is Russell. 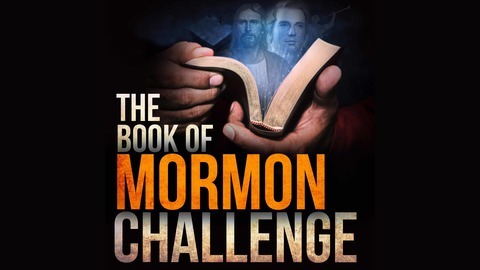 I want to welcome you guys back to the Book of Mormon Challenge podcast. I am super excited for today’s episode. I apologize to those who have been waiting. It has taken a while. It’s interesting how when you try to move forward on important things like this how many things get in the way. So today, I got my kids ready for school, I woke up early this morning to get all the outlines prepared, got up, got my kids out the door to school, and then now I’m back in here recording this before I’m allowing myself to go into the office and get started on my day, to make sure you guys have it. Because I keep wanting to dive into 1 Nephi Chapter 1, I’ve got the entire episode all prepared and ready, and there’s so much exciting stuff I want to share with you. But I felt like there was a preamble, something I needed to give and share with you before that. And it’s the story of how we actually got the Book of Mormon. I’m sitting here in my office, and I have as you know, one of the original 5000 books that was printed here. And I’m not so much going to go into how the book was printed and published and things like that, that’s not the purpose of the podcast. But how did we actually get it? Every time I share anything with my friends who aren’t members of the church, they are confused, “So what is this? A new Bible? A new translation?” And not matter how many times I explain it they always get confused. So I want to kind of go through the details of the story and it’s one of the most amazing, insane, cool stories in the history of the world, yet nobody seems to talk about it very much. So I wanted to share it because I think it’s important. And my goal, in fact, my entire goal of this podcast, I think I’ve told you. There’s a couple of reasons, one is to get me to really get back into studying and learning and trying to find out the most amazing things from the Book of Mormon. But number two is to get you excited about the Book of Mormon. It’s not so much me telling you my commentary on the Book of Mormon, that’s not my goal. My goal is to talk about it in a way that gets you so excited after you hear the episode that you have to go and open it, you have to read the next chapter or the next verse. If I can do that, then I’ve done my job correctly. So I figure the best thing I can do today is get you so excited that if you haven’t got the Book of Mormon yet, you’re like, “Alright I’m going to go and just buy one, I’m going to go order it online.” Whatever you need to do, you’re going to get one and so you’ll actually open it and start reading it. So that’s my goal today, just to get you pumped by….because the back story about how it came to be because it really is fascinating. And hopefully you’ve listened to some of the earlier episodes, I talk about the history and all those kind of things. If not, please go back to the very beginning. I’m trying to, all these episodes kind of build on each other. So make sure you’re listening to them as you go. So he has this vision and he goes and tells his family about it, tells other people and he thinks that everyone is going to be excited to hear that Heavenly Father and Jesus came to him, and what actually happened was the opposite. He was lucky to have his family and people close to him believe him, but most of the people in the community didn’t. And he was persecuted really heavily. He was, his family was, and it was a really, really difficult time for the next few years. If you can imagine as a young boy having this vision and then not hearing from Heavenly Father again, you’re like, “What happened? Did I do something wrong?” You know, what’s the next step? So that’s kind of where this part of the story picks up. It’s Joseph Smith wondering that same thing, what’s the next step? So most of this podcast is going to be coming from two different things. One is Joseph Smith History. I went through the history and found some really cool parts of the story to tell. And the second one is a talk given by President Russell M. Nelson, who is the living prophet of the church today. This is a talk he gave called A Treasured Testament. He gave it a long time ago, I don’t know, 1992. So a long time ago, but it kind of tells the back story and shares some of the amazing insights, some amazing quoting of stuff from that as well. The goal of both of these things is to get you so excited to open up the book and start reading with me because the next episode we are going 1 Nephi Chapter 1, and we’re finally going to be diving in. And I think he felt the same way, obviously. He goes on and said, “I often felt condemned for my weaknesses and imperfections.” So that’s kind of how he felt going into this. So it’d been I think 3 or 4 years after the first vision and he was like, “Alright, I need to find out where I fit with God.” And hopefully all of us have this conversation. It’s a scary one, it’s one that sometimes I don’t think any of us really want to go ask because you might find out and that can be kind of scary. Can you imagine going to Heavenly Father like, “Okay, so I need to know my state and my standing. How am I doing? Am I doing good, am I doing bad?” something that I’m sure we’re all super curious about, but man, that’s a scary thing. What if he told you? What if he was like, “Man, you’re doing a horrible job Russell.”? But he did that. And he did that, which is such a cool thing. So much faith, I wish I had that faith like that. So he went in there and asked for forgiveness of his sins, he prayed to know his state before God and what happened next is amazing. What happened next is an angel came and appeared to him in his room. And the angel’s name was Moroni. So those of you guys who don’t know who Moroni is yet, you know obviously the word Mormon from the Book of Mormon. So Mormon was the last prophet, one of the last prophets in the Book of Mormon and he had a son named Moroni. Moroni was the last one who was kind of writing all the history and he was the last righteous person in the land at the time, so he had been entrusted with these Gold Plates. These are metal pages that they had been etching in their history for 600 years of what was happening with them and with God, it was their journals. So he had all of these, they called them Gold Plates, where they were metal pages and they all had all these things etched in them. So Moroni had these and before he died he went and buried them in a hill so that nobody could find them. But they were a history of his people. So that’s kind of who Moroni was. So you imagine that, an angel comes and just so you know, if you start on this mission, your name is going to be used for good and evil. So people who love you are going to think that you are the greatest thing in the world, and the rest of the world is going to hate you and think you’re an evil, horrible person. Can you imagine stepping into your mission, you know at this time he was, I don’t know how old he was at the time, but still a teenager, maybe 18-19 years old or something like that. And say, just so you know if you decide to go on this mission, your mission should you choose to accept it is this thing and your name is going to be used for both good and evil. So he didn’t know what these were, but he said, “There’s these seer stones, if you look through them you’ll be able to translate the Book of Mormon, they’re also buried in the mountain.” And he kind of explained the whole thing. So I’m sure Joseph Smith is like, “Oh my gosh, this is so cool. There’s these buried gold plates in a mountain and there’s these seer stones. If I look through the stones I can translate this ancient language.” This is, I don’t know about you, but this is better than any movie in the history of the world. So the angel is like telling him, all these things these ancient prophets wrote about, like Isaiah, all these people, they testified that in the coming days, in the future, these things are going to happen. He’s like, all those things are being fulfilled right now. You are the literal fulfillment of all these prophecies of all the prophets up until this point. Can you imagine being this kid, sitting here thinking I’ve read Isaiah, I’ve read these people, I’ve read these words and what they were talking about was happening. I’m experiencing this right now. Can you imagine that? Imagine yourself as a kid going through this. And as he’s thinking about it, pondering and meditating about it, all the sudden the light comes back in the room and the angel appears again. So the angel appears a second time and then tells him the exact same thing. And he’s like, “What in the world?” So he tells him the exact same thing as the first time. So he’s like, okay I get it. He listened to the whole thing, and the second time the angel added something, he said he informed him, “There’s going to be great judgments which are coming upon the earth and great desolations by famine, sword and pestilence and these grievous judgments should come upon the earth in this generation.” So he said that and then he left again. So the first time he comes and tells the story and leaves. The second time he comes again and tells the entire story again and then he’s like, “Oh by the way, in the very near future the whole world is going to be roght with desolations, famine, sword, pestilences and the grievous judgments are coming upon the earth because this is a wicked time and a wicked place we live in.” and then he leaves. Can you imagine this angel telling you, just be good or you’re going to be destroyed. I don’t know about you, but that would scare me a lot. So he gets the warning, be careful what you do with these because it really, really matters. So the angel had told him in the vision exactly where the gold plates were at, and they were in a hill called Hill Cumorah, which happened to be right by his house. I wish I had time, I wish I had enough time to have researched this ahead of time, I wanted to but I just ran out of time and I wanted to get this episode out. But it’s interesting, all the things the lord had to do to get Joseph Smith to end up in Palmyra, New York next to the Hill Cumorah. His family wasn’t born there, he wasn’t raised there, they were born somewhere else. And there were all sorts of insane things. There was a volcano that erupted that made their family crops die, which made them go bankrupt, which made them move their farm three or four times to eventually get to this spot hundreds of miles, I don’t know how far away, hundreds of miles away from where they were born and raised to this farm that happened to be next to the exact same spot where angel Moroni, where Moroni before he was an angel, where Moroni had buried these plates. Can you imagine that? You have these visions and then you go and you find this rock, you move the rock and then boom, in there, just like the angel had said, there are these gold plates, and there’s the Urim and Thummim to translate, everything is there. I can’t even imagine, as a teenaged kid, can you imagine find that? That’s like the greatest treasure in the world. So I’m going to trust you with these gold plates, but if you lose or you neglect them you will be cut off. I don’t know exactly what cut off means, but it does not sound like very much fun. So he finally gets the gold plates and the chance to take them, and there’s rumors. Because he’s been talking about this, he’s told people an angel came to him, there’s gold plates, he told people about it and people didn’t believe him. But they thought, “Well, if he does have gold plates then we want them.” And the persecutions that came from that point forward were insane, people trying to steal them and trying to murder him. There are so many stories that I just don’t have time to tell you guys today, but it’s crazy. But I do want to share a little bit about the translation process, because this is the coolest part. This is why this book, again I’m holding in my hand right now, one of the original 5000, why this book is so exciting. Because imagine this, if somebody told you there was this book that was inscribed upon golden plates that the ancient American’s told their stories, their dealings with God, the talked about God, when Christ came to them, and the entire history of their life, and if you read this book you’ll understand Jesus, and Christ and salvation better than anything else on earth. And it’s all on these gold plates. And to be able to read it you have to translate, and there were these little seer stones that you look through and as you look through them you’ll see the character and it will tell you what the actual word needs to be and be able to find out and decode this book and find out what it is. If someone told me that, I’d be like, “I have to read this book. This sounds like the most exciting, interesting, fascinating story in the history of world.” And it is, yet hardly anybody in the world knows about it. That’s what us, as Mormons are always talking about. “If you understood what’s in this book you would go crazy. If you knew what was here, if you realized what we had to go through to get this.” Imagine Joseph Smith going back for four years and seeing these gold plates and wondering what in the world is on there. These have been protected for thousands of years from the world and now today they are, the lord is telling me let’s bring these out. Aren’t you curious what’s on there? Aren’t you curious, all the revelations, all the prophecies of Isaiah and Malachi, all these prophecies where the angel came back and said, “Look, this is the literal fulfillment of that prophecy. Isaiah was talking about this moment right here.” Aren’t you curious what he’s talking about? What’s actually inside the book? I don’t know how you couldn’t be curious. It drives me wild when people are like, “Oh, well I’m not going to read it.” It doesn’t make any logical sense to me whatsoever, even just out of raw curiosity. What in the world could possibly be in here? Especially when you have people like me where it’s literally changed their life. If you look at, I can’t even tell you happiness…everything…if you know me and follow me and wonder, “Man, why is Russell so happy?” This is the foundation of why. So I don’t know how much more of an endorsement I can give than that. This will bring you more peace, security, happiness….I don’t even know how…it’s everything I’m saying and a whole much more. It’s insane. So I’m hopefully getting you excited to like, “What was on those gold plates?” Aren’t you curious? With that said, I’m going to jump over to this talk from President Russell M. Nelson that he gave back in 1992 because there are some quotes I’m going to share from this. So I’m going to read some parts because it’s going to explain how the translation part worked. Because if you think about this, Joseph Smith was a young boy, he had no formal education, he could barely read, and he had in a very, very short period of time, and I’ll explain that here in a second, had to take these gold plates that were written in some ancient language that most people didn’t even know at the time, and he had to translate them into English, and he did the whole thing in less than three months. So how is that even possible? Now me, as an author I’ve written two books, those who know me, I’m writing book number three right now, just for me to write a book, it takes me four or five years of research, one year of actual writing, and my books aren’t even that good compared to this. This book is weaving out 600 years of history from multiple different civilizations, inside the book there’s all sorts of proof elements. One of the things in here is an ancient type of Hebrew poetry called Chiasmus, I’m probably going to pronounce it wrong, chiasmus, which is this really cool ancient type of poetry that we didn’t even find out about until well after the Book of Mormon was published and then scholars found out about this thing. You go back to the Book of Mormon, the entire book is laced with this amazing poetry where sometimes it’s within four or five versus, sometimes its wrapped within 20 or 30 chapters to be able to see the whole hierarchy of this poetry that’s been built into the book. All these things that there’s no way that Joseph Smith or any human could have done that, unless they lived at that time, actually doing it. Anyway, there’s so many proof elements, but none of those matter. My goal, again is not to get you to prove any of this, other than to read it and pray and ask God, because he’ll tell you. But just to get you excited and intrigued. Alright I’m going to jump into this talk. So kind of the back story, and I’m going to actually share this story when we get a little deeper in the Book of Mormon, there’s a huge miracle around it. But they translated the first 116 pages, it was called the Book of Lehi. And when you read the Book of Mormon you’ll notice there’s not Book of Lehi. Where’d the Book of Lehi go? And Lehi was the father of Nephi. So they translated the first 116 pages and Martin Harris got all excited and begged to be able to show his family so they could justify all the money, time and effort he’s spent on this. And Joseph Smith went and asked the Lord, said, ‘Hey can Martin Harris show his family these pages?” and the lord said no. So he took away his ability to even translate for a while, then they started retranslating it and said, “Look, we’re not going to re-translate that because if you do, Satan will use that as a tool to get people to not believe in this work. So instead you’re going to start on this other book,” that was kind of an afterthought, that was called the Book of Nephi, and again, I’ll tell you that story when we get to the Book of Nephi. It’s a similar story, but it’s written by Nephi, Lehi’s son. So 85 days, they translated the entire Book of Mormon. I don’t know about you, but it’s taken me more than 85 days just to read it, let alone translating it from an ancient language. Can you imagine that, sitting there as Joseph Smith is translating this book by the gift and power of God? He said, “Those were days never to be forgotten. To sit under the sound of a voice dictated by the inspiration of heaven.” So cool. Can you imagine that, he just got the gold plates, they’re in this hat or something, and then he pulls it up so there’s not light shining in there and he’s got this stone and he looks down and he looks at the character, which is like, imagine ancient reformed Egyptian, right, a little thing. And he puts the seer stone over it, and below the seer stone it’s like, “This is what that word or that phrase means.” He would say the word, he’d write it down, and it would disappear and he’d go to the next word. I can’t even imagine how cool this is. This is better than if you guys watch those movies like National Treasure or something, where they’re trying to decipher the secret message from the founding fathers. This is secret messages from God. This is secret messages from his prophets on ancient America, aren’t you curious what he said? I hope you are. Alright, let me come back in here. So Emma Smith, this is Joseph’s wife, it says, “Emma Smith, who acted as an earlier scribe for Joseph gave this account in 1856: ‘When my husband was translating the Book of Mormon, I wrote a part of it, as he dictated each sentence, word for word, and when he came to proper names he could not pronounce, or long words he spelled them out, and while I was writing them, if I made any mistake in spelling, he would stop me and correct my spelling, although it was impossible for him to see how I was writing them down at the time. Even the word Sarah he could not pronounce at first, but had to spell it out and Ij would pronounce it for him. “Although the prophet would polish his skills over the years, Emma acknowledged that Joseph possessed only rudimentary literacy at the time he translated the gold plates.” This is coming from his wife, who loves him. I can imagine most husband’s spouses are willing to tell the true story about who the person actually is. So this is what Emma said about Joseph’s ability to actually do something like this. So his wife is like, there’s no way he wrote this book. I love him but he’s not that smart. He couldn’t even dictate a coherent or well-worded letter. So it’s just, it’s fascinating. So as you go on here, that kind of gives you kind of a glimpse of what happened as they translated this book. And then the story afterwards, again, I could spend 20 podcasts just pre-setting up the book, but I want to get into the book. But after that they had it translated right, so it was written out and then they had to go and there is a whole story about how they got EB Grandin to actually print this book that I’m holding in my hands right now. They went and had to get it typed so they had to get the money for it. If you look back in the day, they didn’t have type writers or printers, they had to get every letter, letter by letter, THE, print it out and stamp ink on it, and they’d stamp that onto a piece of paper and cut the bindings, sew it together. So when I look at this book and I open it up and I look at the ink and how it’s so hard to read in some areas and I look at the bindings how they’re hand sewn together. I look at the sacrifice that went into this, but not just that. The translation that happened prior to it, and then to get this book and all the people trying to steal the gold plates from him and eventually, the angel took the gold plates back. And then they get the book, get it printed, get it out there, and then they thought, “Man, everyone in the world is going to freak out when they see this. They’re going to be so excited. Can you imagine the miracles that happened for us to get this thing.” And they gave it out to the world initially, as you know, the world didn’t just runningly accept it. People did, but not everybody. And to this day it’s still, Satan fights against it so hard because he doesn’t want it to get into people’s hands. But as you read the Book of Mormon, in this talk he shares like 30 different amazing things about the Book of Mormon, but there’s one that I want to stress because it’s the key. I think that the biggest tragedy to me is that Christians who are great Christian people who are scared to read it or don’t want to read it, or whatever it might be, and we’ll get more into those reasons as we dive into the book, but I want all my Christian brothers and sisters to feel comfortable with this. So anyone who’s scared like, “This is going to take away from the Bible. Or this is going to take away from Christ.” Or whatever, no. This is another testament of Christ. The whole purpose, the whole focus of this book is to get people to believe in Christ, to get them to turn their heart to Christ. It is the most amazing proof we have that our savior came to this earth, that he died, and he was resurrected again. I promise you that if you read it and you ponder about, and you pray about it, you don’t have to take my word for it, you don’t have to take anyone’s word for it. But if you pray, if you read and you pray about it, our Heavenly Father will tell you it’s true. That’s the test. When you read the book you will feel the Lord’s spirit, you will feel the Holy Ghost, you will feel the feelings of God because this book is from him. Don’t read about the book, that’s my one fear of this podcast , you’re going to listen to me talk about the book and then you’re going to base your judgments based on that. Please don’t. My only goal of this podcast is to get you so excited that you go and you open the book and you read it. And if you read it you will feel that, I promise you that. You’ll read it and you’ll feel it and then pray about it and ask God if it’s true. Don’t take my word for it, don’t take anyone’s word for it because that’s not the goal. The goal is not to convince you of anything, the goal is for you to read it, to feel it and then to pray and ask God. And then if you do, it’ll change your life. I promise you that. It’s changed my life, it’s changed millions of other people’s lives around the world and it’ll change yours as well. So that was in Doctrine and Covenants section 17 verse 6 where Jesus Christ himself testified that the Book of Mormon is true. He said, “you know well that this promise that the Lord offers to the readers of the Book of Mormon. If you do these last commandments of mine, which I have given you, the gates of hell shall not prevail against you, for my grace is sufficient for you, and you shall be lifted up at the last day. So I just want to testify to you, just like the angel did when he told Joseph Smith when he came three times in the night and again the next day, and then every year for the next four years. He said that all of the prophecies from the old testament, all of the things that Isaiah and all these prophets wrote about, that were going to happen in the last days, they’re happening. It’s happening all around you. And Satan’s going to deceive you and try to get you blind to it by keeping you busy and I feel this in my life every single day. There’s so many things that are happening. So many things fighting for our time, good things that are fighting for our time, it’s hard to keep our eyes open enough to look for the truth. But it’s there, it’s right in front of our eyes. It’s been restored. There was a boy who was humble enough and worthy enough to pray and get Heavenly Father and Jesus Christ to come to him. He then, through the gift and power of God was able to go and find these Gold plates, this old record of people who lived here on the ancient American Continent. People who actually had a chance to see Christ and feel the wounds in his hands and his feet and put all those things in their record. He was able to translate them by the gift and the power of God. They weren’t translated 10, 50, 100 times by tons of different people. It was translated once. So this book in my hands that I’m holding today is the exact same thing that came, went from the prophets here in ancient America, right into the Gold plates, then from one translation being put here in this book. So when you read this, you know it hasn’t been changed, hasn’t been manipulated. It is literally the words of God. And what’s interesting is that the ancient prophets who wrote this, this book was not for them. They didn’t have a chance to see it right. As you read through the book you’ll see, they were writing this book, the Lord commanded them and said, you’re writing this book. It’s not for you, it’s for a future people who need to have this book. This book will turn their hearts back to God. So they’re like, I’m not writing this for my people, I’m writing it for you, whoever is reading this someday in the future. I’m writing this for you so you’ll know what happened to us, so you can protect yourself and you can protect your families. So it was written by ancient American prophets for me and for you, specifically for today. Specifically for us to get through the challenges and the trials and tribulations and all the amazing things that Satan’s throwing at us today, this book was written to protect us and to save us and to bring us closer to Christ. He is our savior, he is our messiah, he is our God and he’s our king. I testify to you that this book will draw you closer to him than anything else on this planet. And I want you, I pray that you read it and that you feel it. And if you do that, like I said, your life will be changed forever, just like mine has. So I want to share that with you on the end of this episode, and get excited because on the next episode we’re going to be diving into 1 Nephi Chapter 1. So if you don’t have your Book of Mormon yet, go and get one. 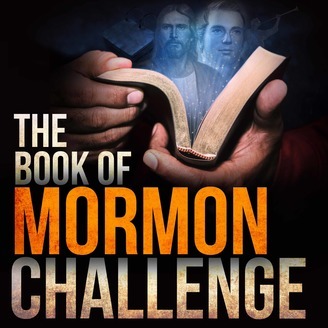 If you go to bookofmormonchallenge.com there’s a link where you can get a free one. Or you can go to Amazon, I’m sure you can get a free one on Amazon. Just get a copy of it because I want you to start reading this together with me, otherwise what’s the point of all this work I’m putting into it, right? So we’re going to go to 1 Nephi chapter 1. This is the way that the game is going to be played. I’m going to tell you about 1 Nephi Chapter 1. I’m going to get you so excited, so fired up, and so pumped to read it and then I’m going stop and I’m going to leave you hanging and that’s going to drive you to go and actually read it. And that’s how this podcast is going to go moving forward. I’m going to get you excited about what’s happening, what to look for, the magic, the secret messages, all the amazing things that the Lord has weaved into these verses that if you’re not careful you’re going to miss it. I’m going to set those things up so you can look for them and you can find them so when you read them you’ll have these amazing spiritual moments where you’ll be reading something and it’ll hit you. And for everyone it’s going to be different. Everyone’s at different times and points in your lives. And some things you’ll read and it won’t make sense, and some things you’ll read and you won’t be ready for it. But some things you’ll read and you’ll sit there and be like, how in the world did this prophet, and it could be Alma or Nephi or Leman, not Leman, Helamin or Moroni, how did they know? How did they know that I would be struggling with that today? They literally, they must have put that chapter in for me. They must have put that verse. That phrase must have been for me. They saw our day and they must have known that was for me. You’re going to have those experiences and it’ll be the most amazing, spiritual, coolest things, when those things happen. It doesn’t happen all the time, but I promise you that if you will read this book with me, and dive in there and study it, and you’ll be looking for those things, and you’re praying for answers to your prayers, as you read them, you’ll find that these prophets hid things in here specifically for you, things that you may have read in the past, or other people read and it didn’t touch them, but when you read it, it will hit you differently than it has hit anybody else in the history of time. And you’ll know that scripture was specifically written for you. And that’s what’s so magical about this book. I hope that you take me up on the challenge and you dive in and you read it and you enjoy it. With that said, I will end this episode of the podcast. Thank you so much for listening and for participating. I will see you guys on the next episode when we jump into 1 Nephi Chapter 1.